Charlie Welborn was born and raised in Yadkinville, North Carolina. He attended Guilford College in Greensboro where he attained a Bachelor of Administrative Science in Accounting. In 1983, Charlie joined the staff of DMJ in Greensboro, transferring to the Sanford office in 1990. He was named partner in 1991, focusing his work on audits and financial accounting in addition to individual and corporate income taxes. He works extensively with privately held businesses, their owners, and industry leaders in professional services, manufacturing, distribution, transportation, and real estate. 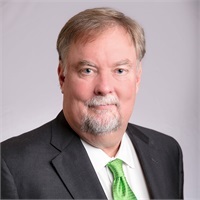 Charlie also serves on the boards of directors of the Sanford Area Chamber of Commerce, Lee County Economic Development Corporation/Sanford Area Growth Alliance (SAGA), and the local advisory board for First Citizens Bank and Trust. Charlie and his wife, Debbie, live in Sanford.